Hi friends! Just another direct download link conversion trick. Today, I’m going to share Microsoft One Drive. You know, Microsoft One Drive is the Microsoft’s file-sharing site during the current period. 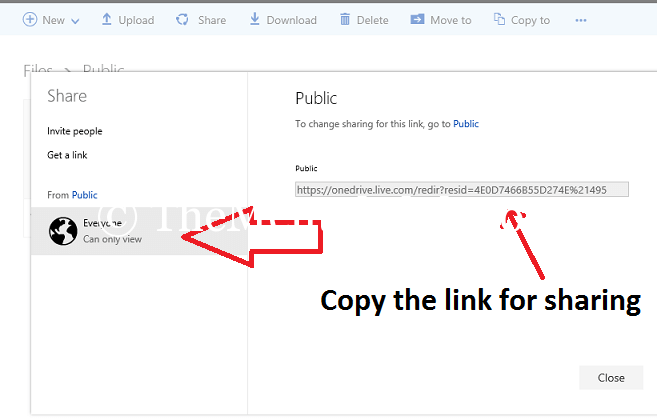 Today, I’ll show you, the simplest way to create direct download links of shared files on Microsoft One Drive. The latest version of Windows has the default Microsoft One Drive app. File sharing is a very important part of every technology lover. We, who at the different time write download related article or we share files, software, games, apps etc. To share these files, we need to upload files to other servers. We use several popular sites, like Google Drive, Dropbox, Box.com, Copy.com, Mediafire, Microsoft One Drive etc. But, all these websites don’t provide the direct download link. We need to visit the website, then they provide the download link. But, you’ve seen direct download on many websites. Because they customize the shared link before publishing on their site. Today, I’ll show you, how to customize the shared download link to direct download link of Microsoft One Drive files? So, now you can generate the direct download link manually. Many people asked me, how does it? It is very easy, now download will start on click. I think, you know that how to upload to Microsoft One Drive (https://onedrive.live.com). 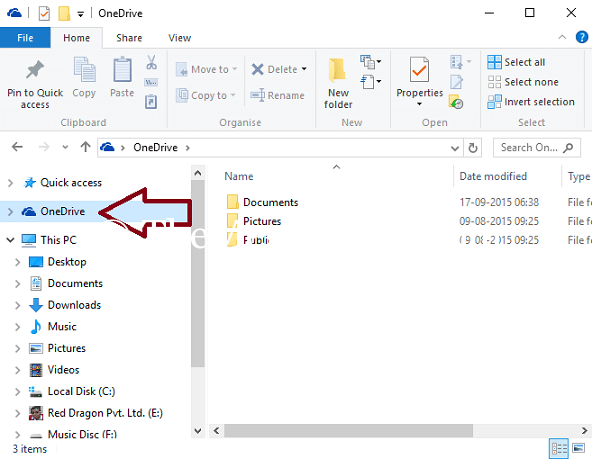 How to share the direct download link of Microsoft One Drive files? Microsoft One Drive is another best file sharing website. Microsoft gives 15 GB free space in “One Drive“. It comes with every Microsoft Account. If you want to get the 15 GB free space, then you’ve to create a Microsoft Account. You may use your existing account. It is absolutely free. After creating the account, you can upload and share anything with your friend. 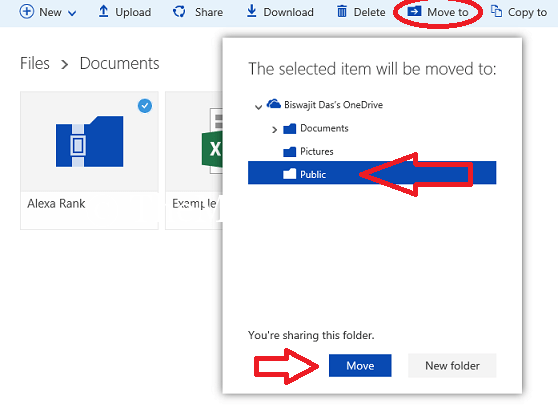 #1 First, upload any file to Microsoft One Drive and move it to the public directory for sharing your file. Alternatively, you may directly upload to the public directory. #2 Now, go to your public directory and share it in public. 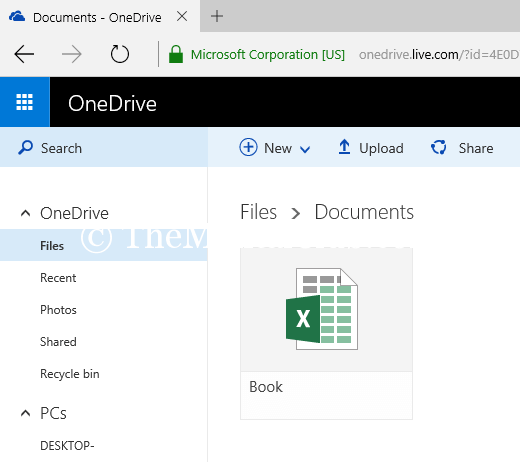 #3 Microsoft One Drive gives link like this (https://onedrive.live.com/redir?resid=4E0D7466B55D274E%21495). Now, you’ve to customize the link. #4 Replace “redir” with “download“. After replacing, the new link looks like (https://onedrive.live.com/download?resid=4E0D7466B55D274E%21495). Done! Now share the customize link to your friends. It will start downloading in one click if anyone clicks on this link. How to create a direct download link of Google Drive files?